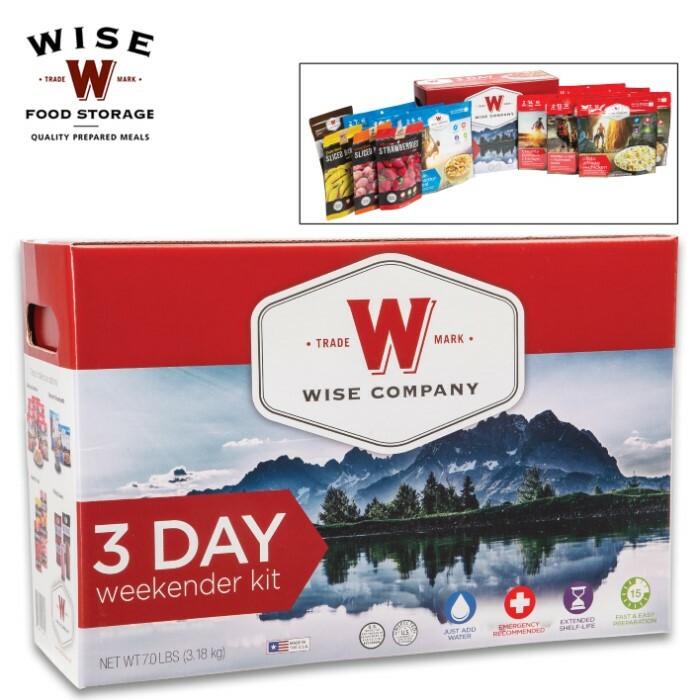 Wise Three-Day Weekender Food Kit For One Adult - 2,000 Calories Per Day, Breakfast And Entrée, Protein Shake, Dried Fruit, Gluten Free | BUDK.com - Knives & Swords At The Lowest Prices! 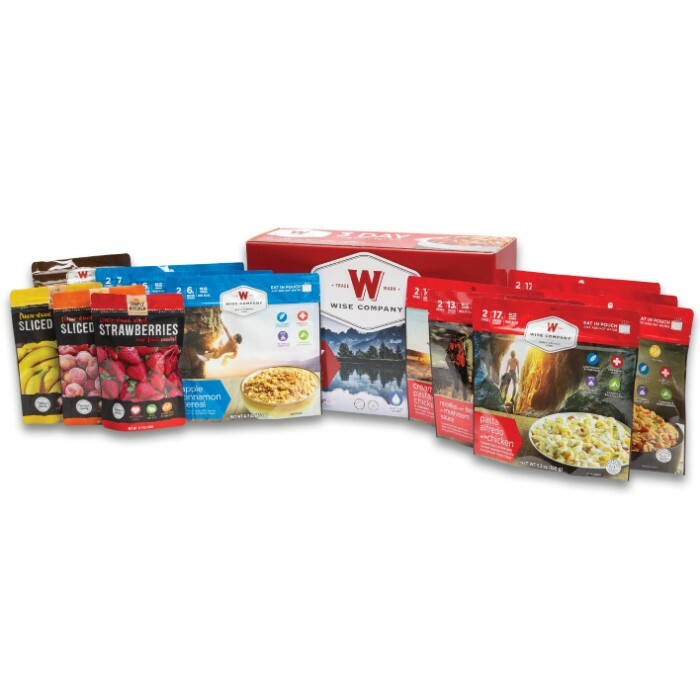 The Three-Day Weekender Food Kit provides over 2,000 calories per day for the average adult and comes with great tasting and high protein, cook-in-the-pouch breakfast and entrée options. 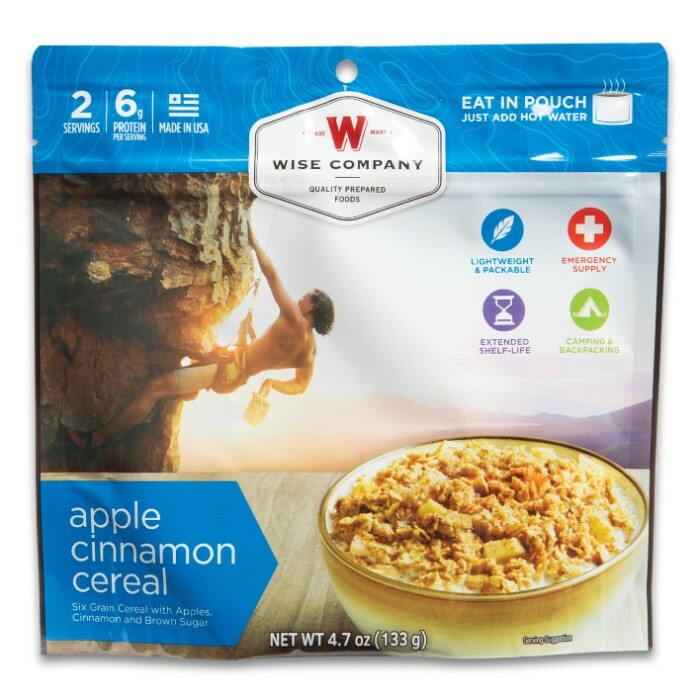 It also includes three amazing options of freeze dried fruit and four servings of a high calorie “Chocolate Royale” protein shake. 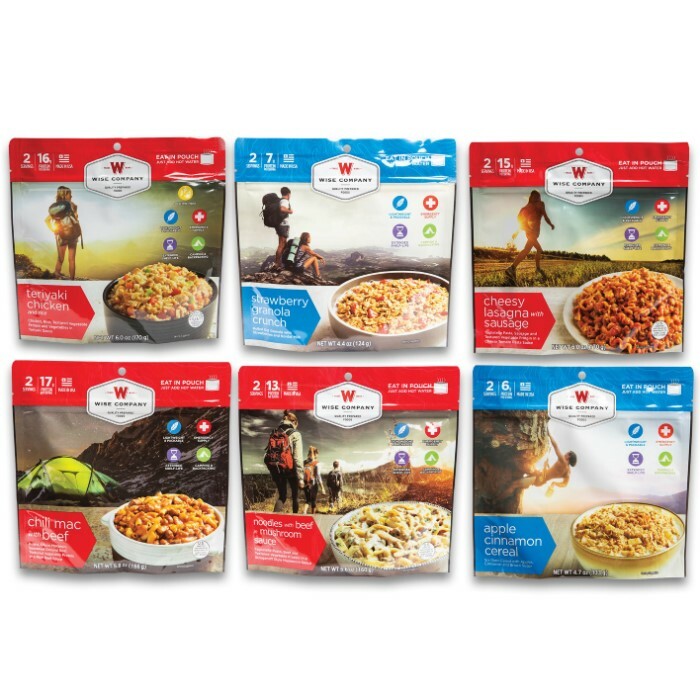 Each made in the USA, cook-in-the-pouch entrée has a total of two servings and comes in a resealable pouch with a seven-year shelf life. The entrées include meat and are simple to prepare by just adding boiling water directly into the pouch. 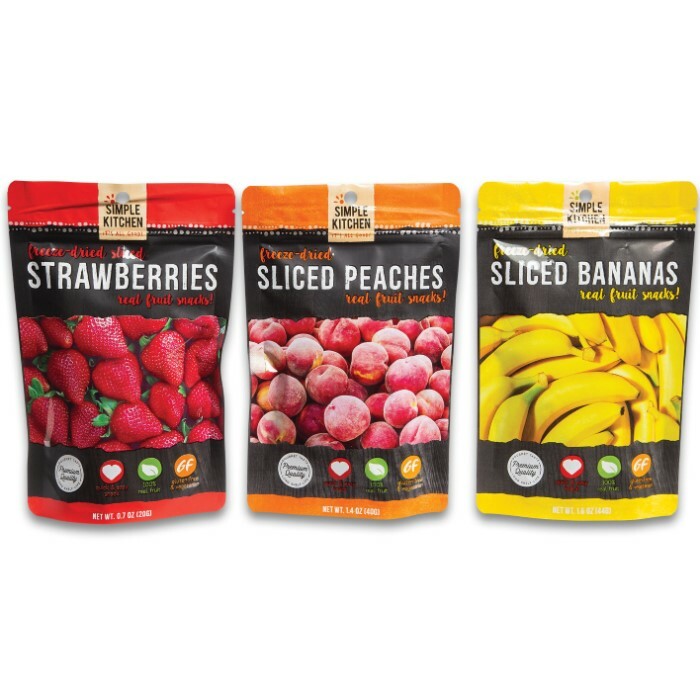 The fruit pouches have a three-year shelf life and the shake pouch has a ten-year shelf life. 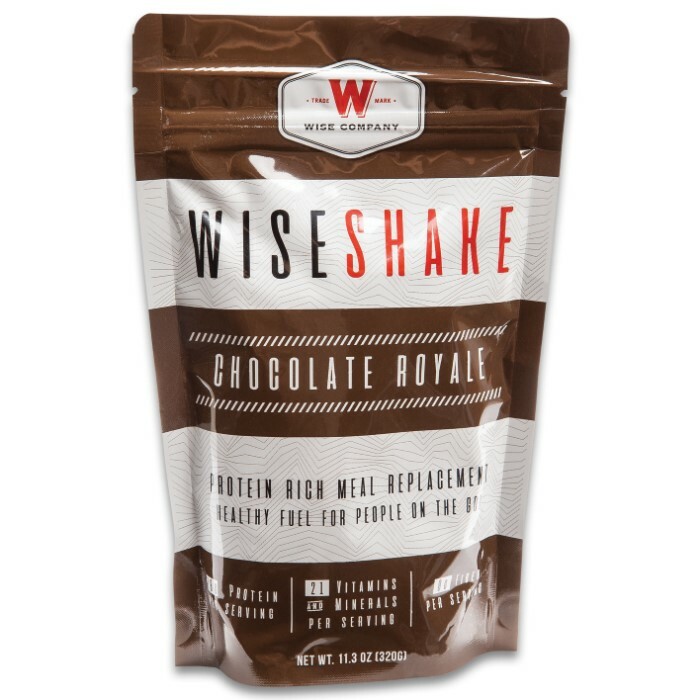 The shake has 16+ grams of protein and 260+ calories per serving and a scoop is included. 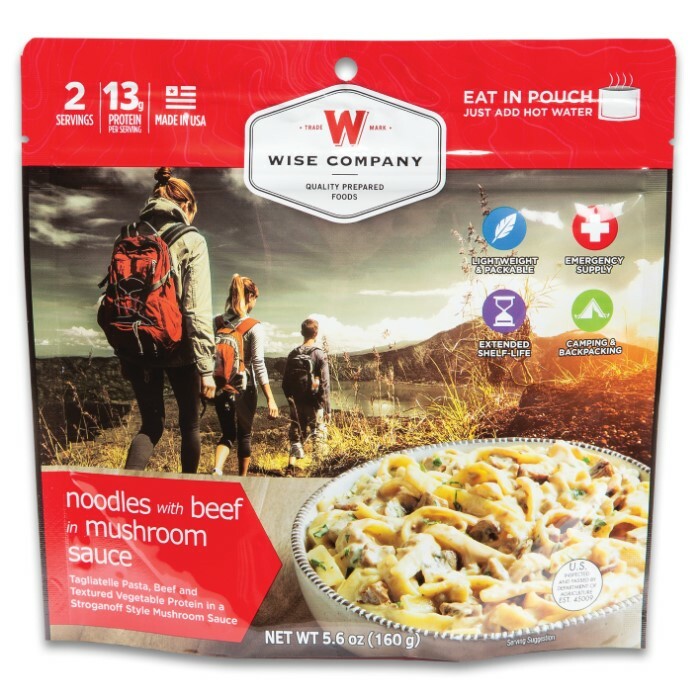 Lightweight and packable, the Wise Three-Day Weekender Food Kit is great for hunting, camping and hiking.